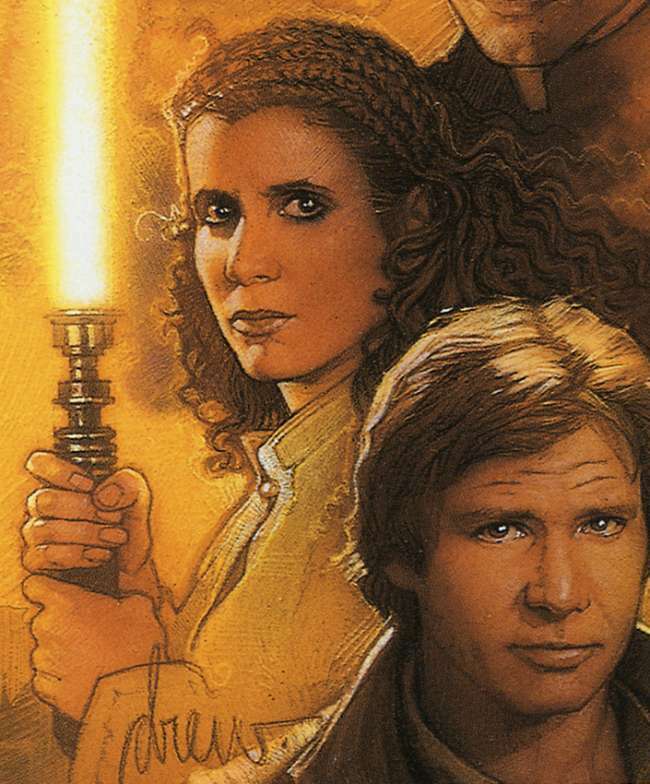 Star Wars Shadow Council – Page 24 – Fans writing on the continuing Star Wars mythos with a focus on analysis and speculation. the variety of porgs that we are hoping to see in The Last Jedi. Star Wars Speculation mod u/CartoonWarp didn’t miss a beat, providing a shopped version of the screaming porg we saw in the full TLJ trailer. And so, with invaluable input from u/shenanakins and u/needs_more_sprinkles, we added a bow-tie. And then a top hat. Then a lit cigar for his adorable flipper. And finally, a jaunty mustache. That is a man who would smoke expensive Cuban cigars and tell me my opinions don’t matter. He’s everything we could have hoped for. And with that, the Mansplaining Porg was born. Create your own here and share your creations with us on our Tumblr page! Now if you will excuse me, I need to get back to gatekeeping. Sexistly. First Indication Luke isn’t Alone! Legends of Luke came out Tuesday and it’s given our first look at an older Luke… and evidence there might be another in his life. Continue reading First Indication Luke isn’t Alone! Posted on November 2, 2017 November 2, 2017 Author robotical712Categories Analysis, Spoilers, Theory PostsTags Analysis, Canon, Luke Skywalker, rey skywalker, Speculation, Star Wars, The Last JediLeave a comment on First Indication Luke isn’t Alone! Darth Vader 2017 #7 has a list of priority surviving Jedi. Driver is on a roll now, discussing what excites him: character and narrative and cinematic influences. The original Star Wars was an homage to Akira Kurosawa’s 1958 film The Hidden Fortress, he says, and the link lives on in the new trilogy, in which concealed identities drive the narrative. Then he lets it slip. “You have, also, the hidden identity of this princess who’s hiding who she really is so she can survive and Kylo Ren and her hiding behind these artifices,” Driver says, apparently dropping a massive revelation about Rey’s royal origins. Follow us on Facebook, Twitter or here on WordPress! The Legends of Luke junior novel came out today and one the chapters, ‘Fishing in the Deluge’, adds quite a bit to our understanding of the lore and mechanics of the setting. Star Wars releases for the week of October 30th through November 5th. In addition to the listed releases, several Forces of Destiny shorts will be released this week.